This is the second attempt at this dress! The first one turned out in a size zero at the most! 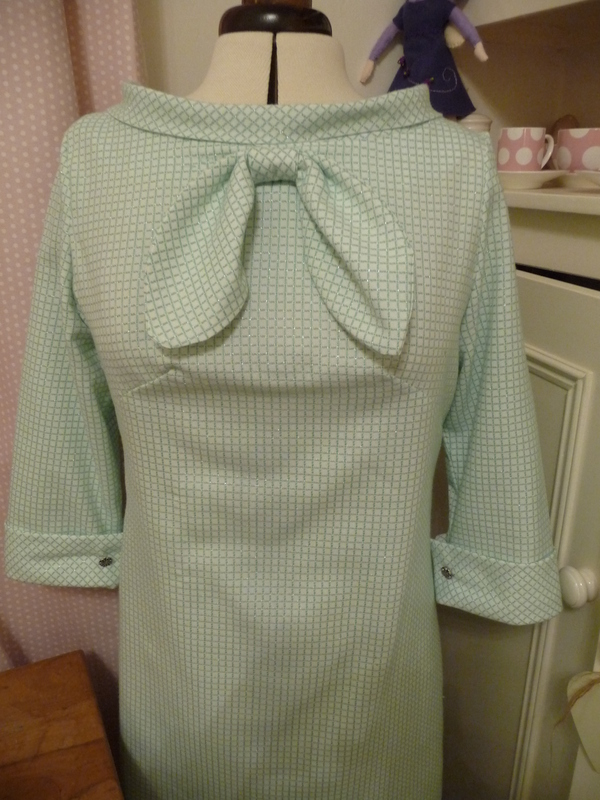 As I loved the fabric and had bought shoes and earrings to match it I had another go! 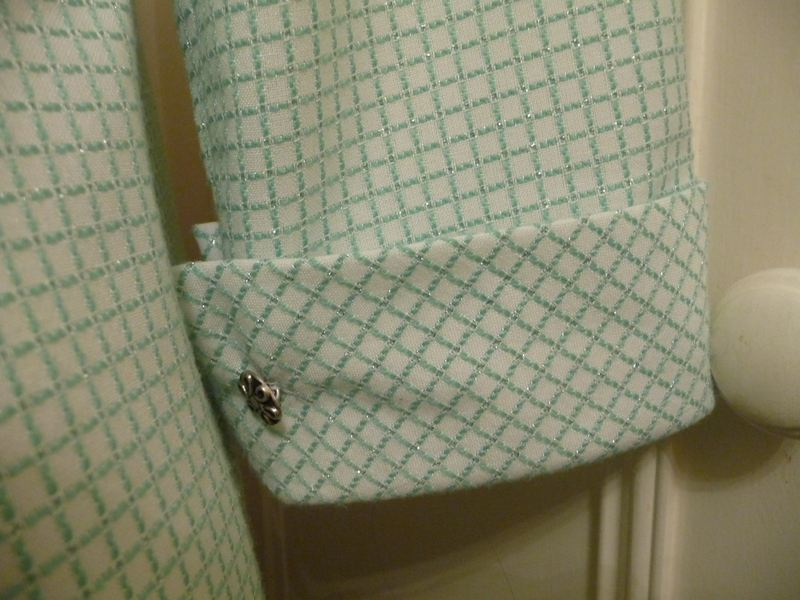 I had planned to do it with Burda 7114, however I knew the sleeves would not work so went for my usual shift style. This is the same as my ladies that lunch dress, which I love to wear. However, I tried to be too clever with my measuring and the darts are not exactly right, however as long as ,I don’t move the bow tends to hide them! 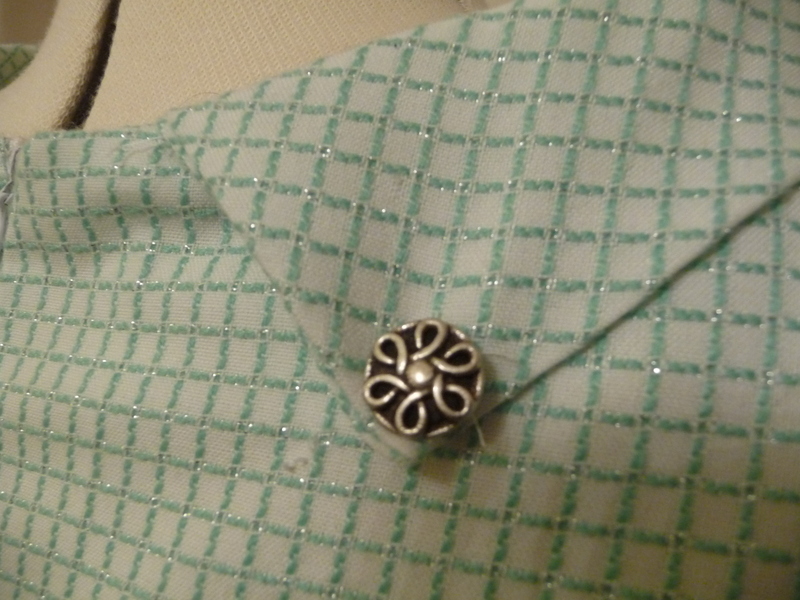 I used silver buttons on the cuffs and the collar at the back. I’m so glad I found your site. This is so beautiful! aaah, but this is gorgeous! I LOVE this dress! The fabrics is so pretty. And, this is totally my ‘style’. What pattern is this? 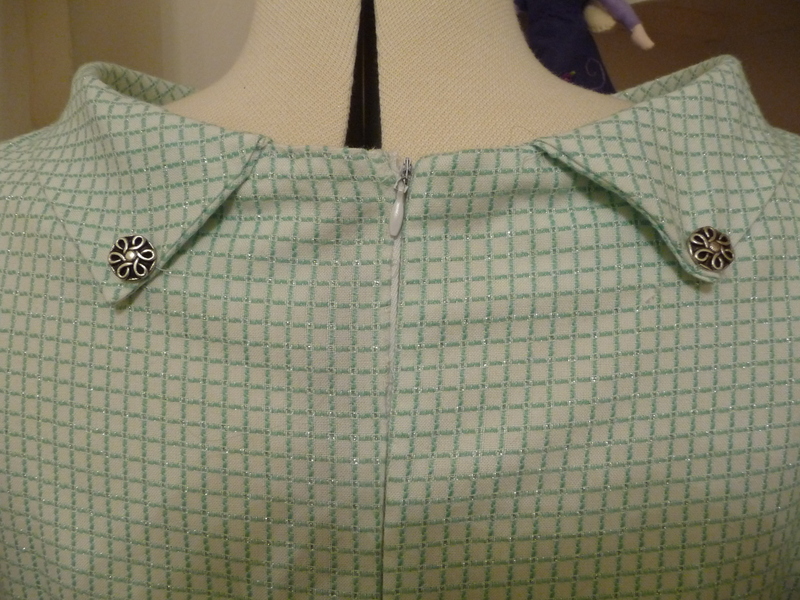 I just did a shift dress pattern, New Look 6741, but I had seen one like it on Burda style in green stripes and a side bow with puff sleeves. 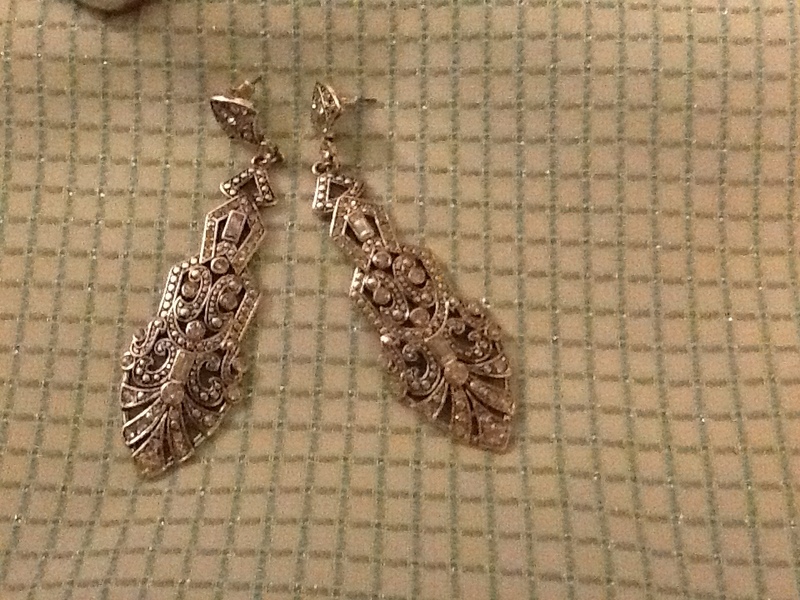 Lovely dress – so glad you also showed accessories – love the earrings, too!